We know that when you come to High Point, you are not planning on spending every minute of your stay looking at different decorating styles and picking out pieces for your living room furniture. 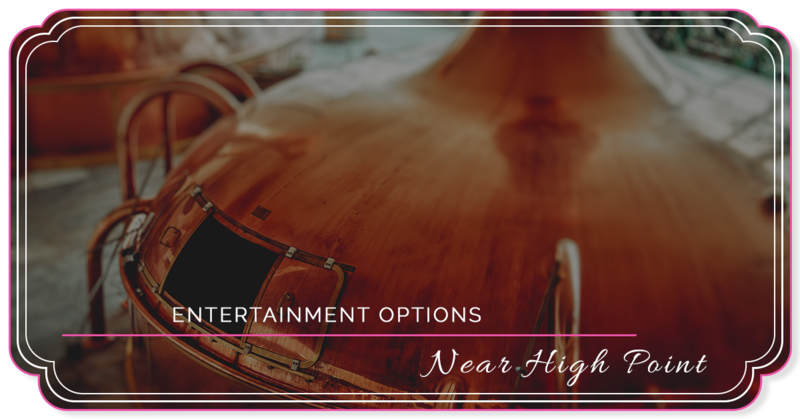 While our team at Kathy Gordon Interiors is excited to work with you on creating the space you want, we also know that you probably want to spend some time exploring some of the fun entertainment options that are available in High Point. We are here to help you with every step of your interior decorating process, so call today and schedule a consultation. If you enjoy a good craft beer, or two, then you will definitely want to stop by for a delicious meal and a pint at Brown Truck Brewery. They feature nine different craft beers, along with a lovely selection of wines for your enjoyment. The owners have created a celebrated local brewery that fosters an intimate and relaxed atmosphere. In case you needed any other encouragement to visit them, you should know that in 2016, Brown Truck Brewery won the gold medal at the Great American Beer Festival in Denver for their #10 American Lager. They also won silver medals for their #4 Saison and their #4.5 Dry Hopped Saison. After a full day of shopping with Kathy Gordon Interiors, you can look forward to grabbing a pint and enjoying some of the local atmosphere. If adrenaline-pumping adventure is something that you enjoy, then you need to make a trip to the Kersey Valley zipline during your time here in High Point. When you choose to experience their zipline, you will begin with “Flight School” where they will cover some of the how-to and pre-flight information that you need to know before you can begin. Once you have covered the basics, you will be able to don the gear you need to begin your adventure. The length of the route you take will depend on your preferences. The coach class tour offers ziplines between 200 to 600 feet in length, and the first-class tour offers zipline rides that are more than 800 feet long! One of many great places to visit during your stay is Castle McCulloch located in Jamestown, just about 10 minutes away from High Point. Depending on the time of year that you visit, you will be pleased to see the variety of festivals that they host. If you are in High Point to celebrate the New Year, then you won’t want to miss their New Year’s Eve bash. The theme for this year’s party is The Great Gatsby, so be sure to pack your best flapper gear and be ready to celebrate in the Furniture Capital of the World. Located in historic Jamestown, Mendenhall Homeplace is a window into a time when a small community of Quaker tradespeople and farmers called Jamestown their home. These people actively opposed slavery, promoted universal education, and worked to create a peaceful life. Take some time during your stay to explore a small corner of North Carolina’s history, and see what design inspiration you might also pick up along the way. 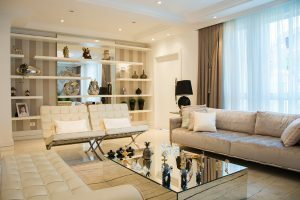 Kathy Gordon Interiors has the industry-specific knowledge and experience necessary to help you bring your personal interior design dreams to life. Contact us today and schedule a consultation to discuss the details that you would like to see in your space, we look forward to working with you!